Because of the simplicity of the look, the next morning I confidently sauntered over to my desk to start my make-up and wanted to re-create (or at least ATTEMPT) the process on myself. I have done this a couple of times and I have to say, it is so easy, quite brightening and perfect for fall. I love a reddish cheek. It brings a lot of life to the face. I must say that my cheeks are pretty rosy on their own but I am not afraid to add more. 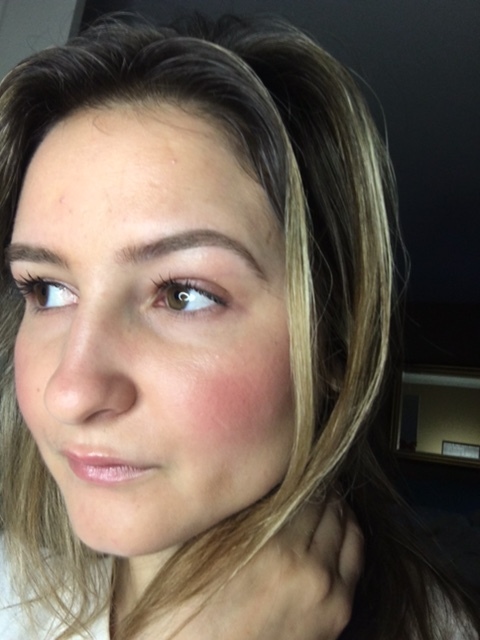 I think if you have rosacea and have pigmentation on your cheeks, it may be best to conceal the redness and then go in with the red blush just to even things out. 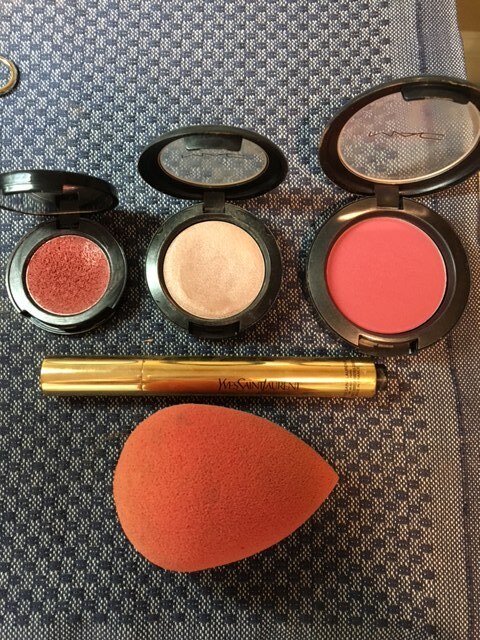 You could even mix some cream blush with concealer and kill two birds with one stone! What I do like about this look is that my imperfections still show but my skin looks fresh. It’s a good option for day time. First things first…I applied my blush just like Sir Page did. I did not bother concealing or anything. 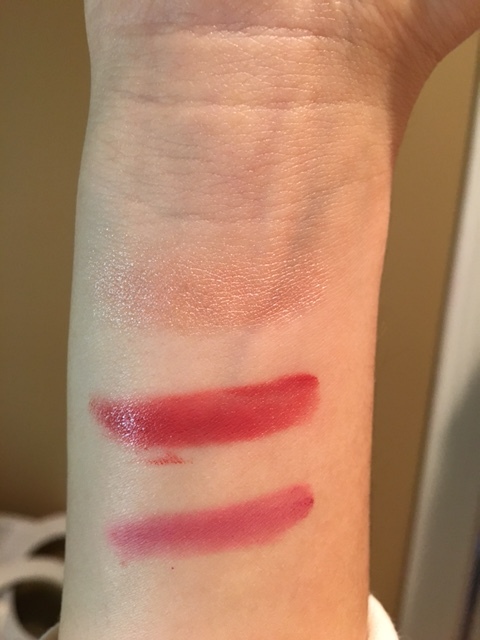 I applied the Bobbi Brown cream blush with a stippling brush and then softened with my fingers. Next, I used my YSL Touche Eclat to get rid of my dark circles and brighten up my under eyes, forehead and chin. I blended it all in with my Beauty Blender which was such a great tool for this look. 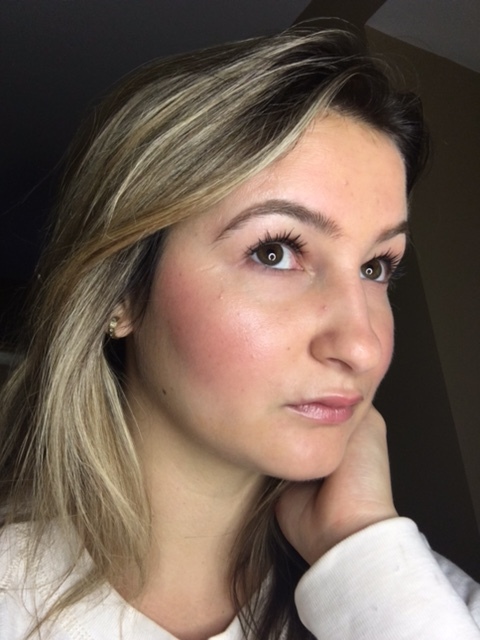 On my lids, I did put on my Burberry cream eyeshadow in Heathered Pink for just a hint of color and then followed with mascara. I added a little bit of MAC’s Cream Color Base in Shell on the tops of my cheek bones for some luminosity. 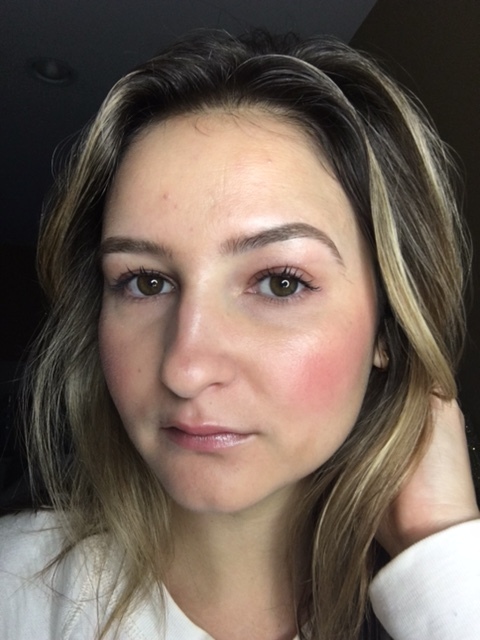 I finished the look by sweeping my MAC blush in Stubborn on my cheeks to seal the cream blush into place. I had to use my MAC setting spray to give myself a little bit more of a dewy look and then I was out the door!! Here are a few photos and pics of some of the key products!